From my recent trip to Pakistan. I got to visit a couple of places in Lahore including this, the Badshahi Masjid or the Kings Mosque. 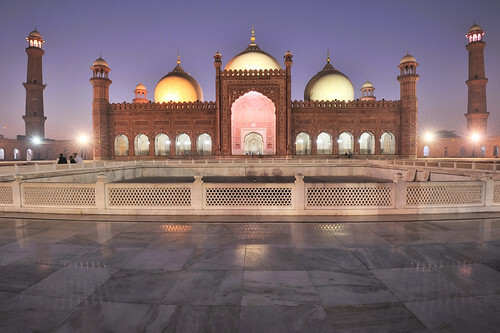 Built in 1673 it is one of the largest mosques in the world.